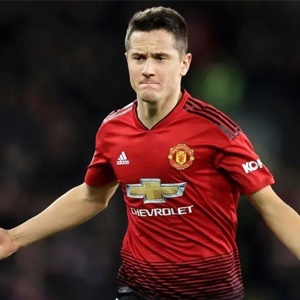 Cape Town - Manchester United midfielder Ander Herrera says he knew the reports of a possible move to Paris Saint-Germain were coming out before they hit the headlines. But the ex-Athletic Bilbao star remains in talks with United over a renewal and subsequent reports have suggested he wants to extend his stay at Old Trafford. It all sounds like typical agent-driven rumour-mongering and the fact that it came out during the international break when it wouldn't disrupt Herrera's focus and that the player knew about it before it broke says it all really. “It is logical when you have three months of contract left and there are big decisions,” Herrera told El Periodico de Aragon. “I already knew something was going to come out. I take it as normal, I focus on playing football in the month and a half that remains. The rest is left to my agent, both the possible renewal with United and any talks with another club for my departure. “I do not concern myself with what will happen in four months, so I do not know if my time here is over. I enjoy playing for the biggest club in England, the fans love me, they have treated me phenomenally in the institution and my duty is to listen to them, although I honestly do not know what is going to happen.